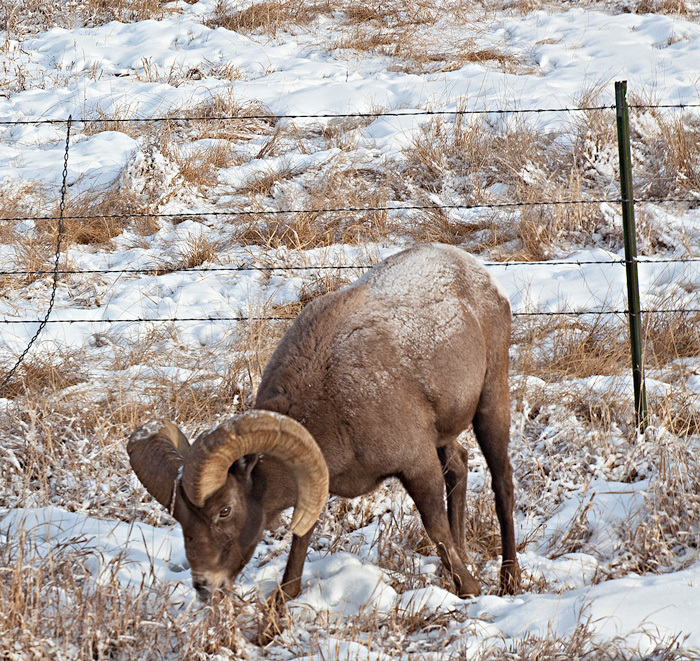 Bighorn grazing on Hardscrabble Pass on the drive baaaaaaack! Happy New Year, Everyone! Photo © copyright by Stan Rose.